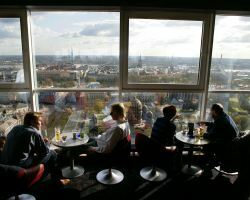 Explore the Latvian capital from our stylish hotel in Riga city center! Stay at the Radisson Blu Latvija Conference & Spa Hotel to make the most of your time in Riga. Whether you're looking for a sophisticated conference venue, a lively weekend with friends, or a soothing spa retreat, our stylish Riga hotel is the perfect place to stay. The Radisson Blu is located in the city center, making the nearby beautiful streets and attractions easy to explore. At 90m tall, our hotel is a bit of a local landmark – so you'll always be able to find your way back! Book one of our 571 Riga hotel rooms and suites to enjoy a good night’s sleep in modern surroundings. Comfortable beds, free high-speed Wi-Fi and complimentary coffee and tea supplies will help you start your morning just right. Accessible rooms are also available upon request. In addition to the upscale surroundings, you can pamper yourself with a tempting selection of high-quality treatments at our on-site ESPA spa. Take advantage of our hotel swimming pool, fitness studio, saunas, steam rooms and open-air vitality pool during your Riga city break. Host outstanding corporate events in our Conference and Events Center, which boasts a capacity of 2,500 guests across its various rooms. Our largest room can seat 1,100 participants and comes with free high-speed Wi-Fi, plus the latest audiovisual technology. You can treat your guests to some tasty catering, too: our Esplanade Restaurant serves a mix of regional and international cuisine, while D’vine can prepare tasty tapas, special business lunches and more.